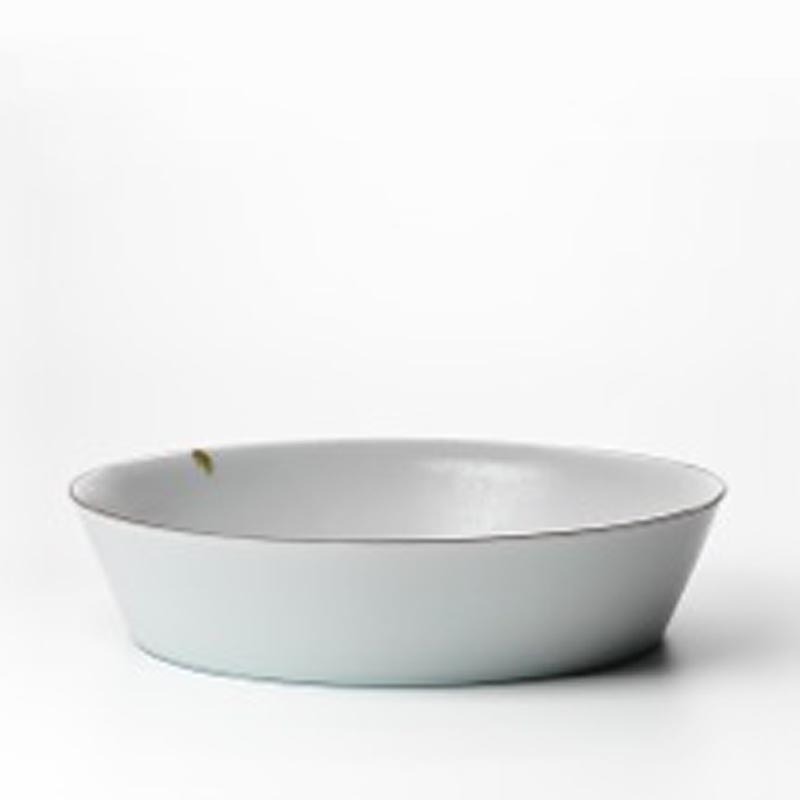 In love with the circular form. 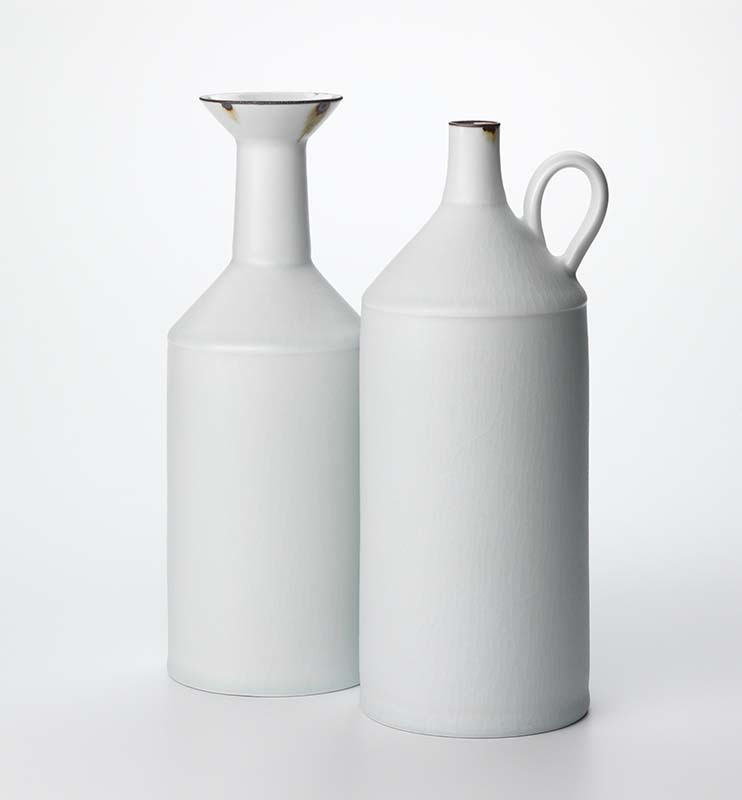 Danish Kim Holm and Australian Kirsten Coelho exhibit new ceramic work. Their backgrounds and ideas are not similar, and they work in different ways, but centre on making stunning variations, in a mutual love of the circular form. 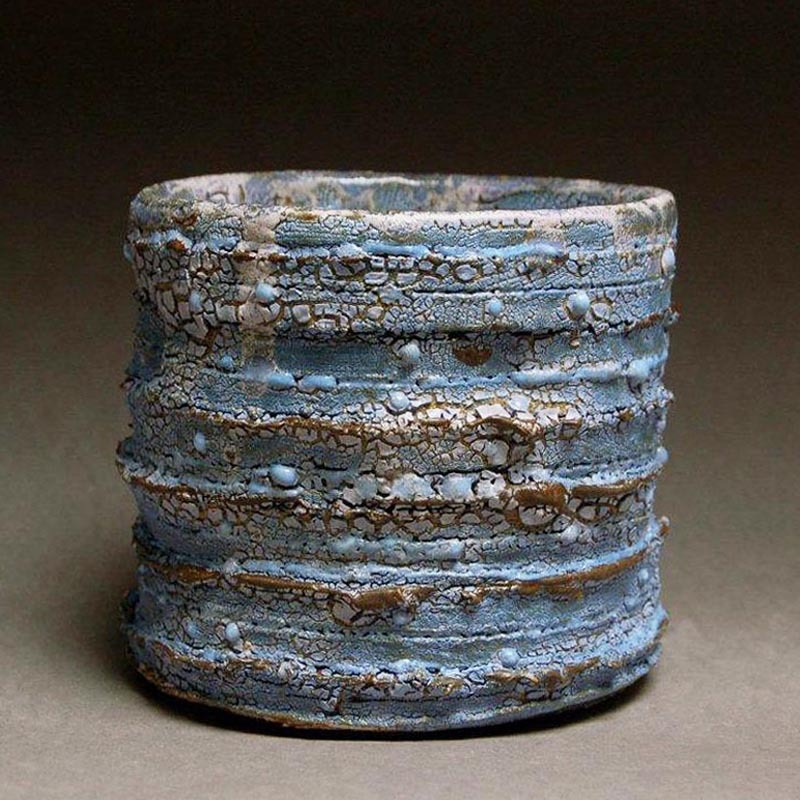 Kim Holm's artistic strength is his ever renewing 're-invention' of the cylinder, the vessel is an individual piece every time he cuts into the surface, finds a decorative reference or glazes in several layers. 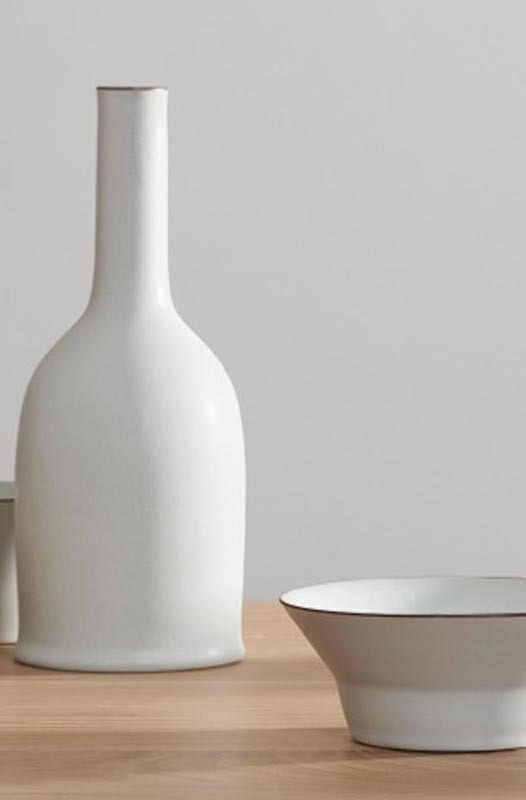 Kirsten Coelho's works spring off the Australian land and culture, telling her story in minimalistic lines on the glaze surface of hand-thrown symbolic utilitarian vessels. Kim Holm is insistent, 'stubborn' in a fine curiously searching way..
"After more than 35 years working with clay, Kim Holm still receives fine respect and curiosity from the viewer. This exhibition offers a possibility to admire his new pieces. Kirsten Coelho finds beauty in decay, for instance in rusty iron. 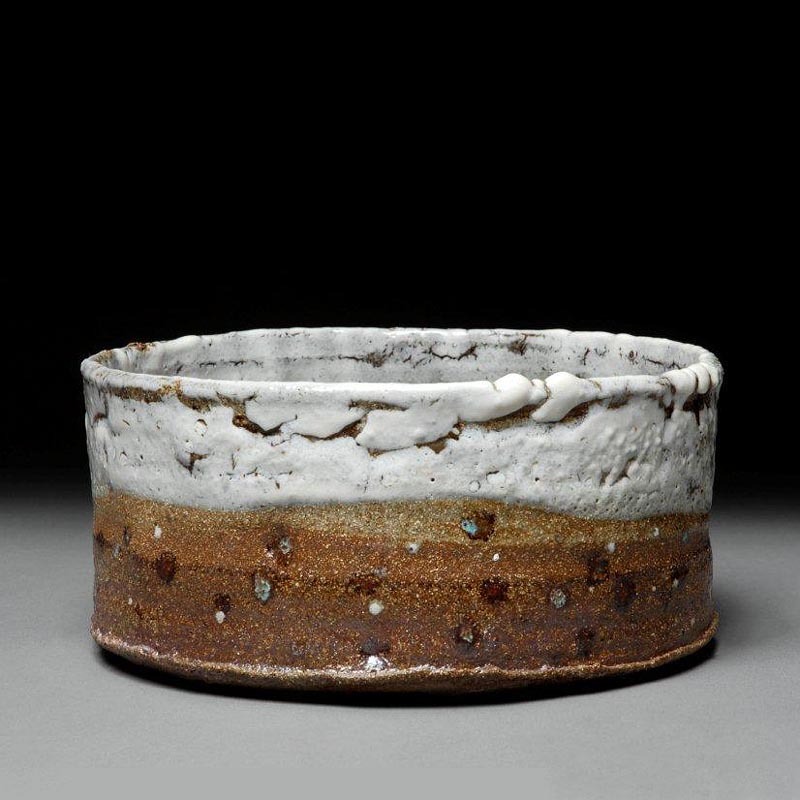 Kirsten Coelho works in porcelain, makes reduction fired works that attempt to fuse subtle abstracted glaze surfaces with simple reductive forms. All pieces are wheel thrown in porcelain and gas reduction fired to 1280 Celsius. 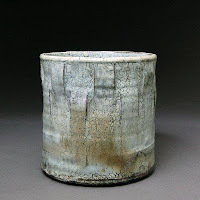 ”Several years ago when I first started working with the cylindrical form, I guess I had no idea how much this simple form would capture my imagination. 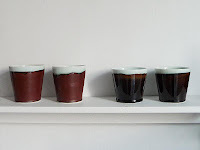 In spite of its obvious simplicity, it holds countless possibilities of variation, in height as well as in width, surface texture, glazing and finally the firing. My cylinders are wheel-thrown and I work with small as well as large sizes. 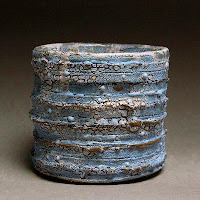 Some cylinders I choose to leave without decoration, others I decorate by cutting or pressing the form or just the surface, on the outside or the inside or both while the clay is still wet. I am very preoccupied with the correlation between the inside and the outside of the form. Therefore I work to create coherence between form, texture and colour in such a way that the outside and the inside of the form accentuate each other, so to speak. 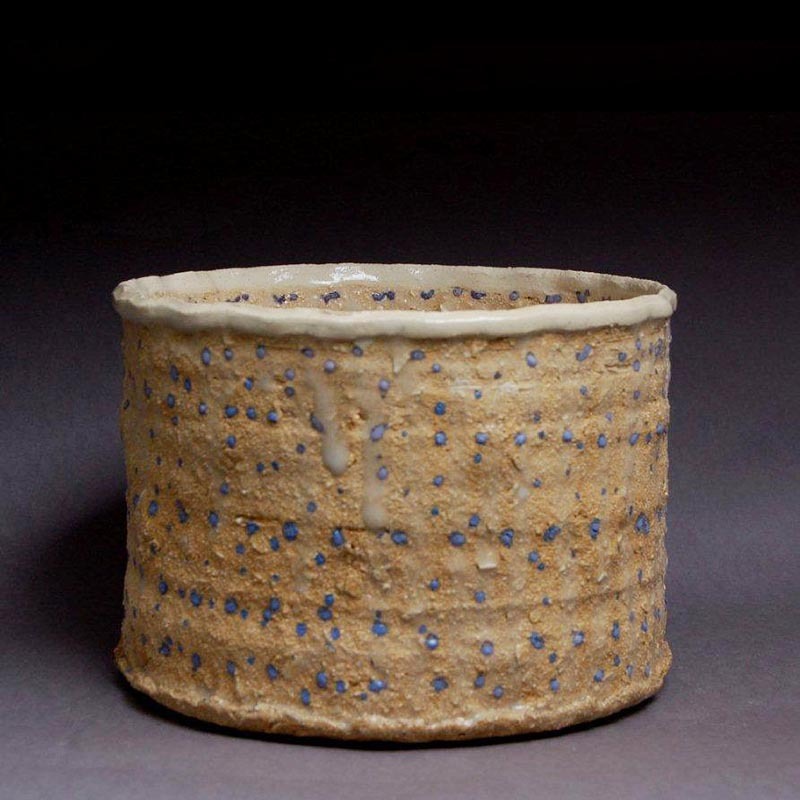 “Recently my ceramics practice has been focused on the exploration and reinterpretation of nineteenth and early twentieth century domestic objects produced in Australia. 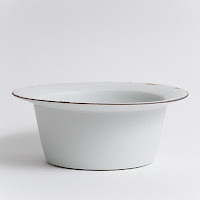 Through an investigation of these objects, I am searching for new visual meanings so as to view social histories and material culture through the context of the contemporary object. a car window and the rivulets of iron on factory chimneys. I am also exploring the convergence of object and surface – the merging of the formal and the abstract. 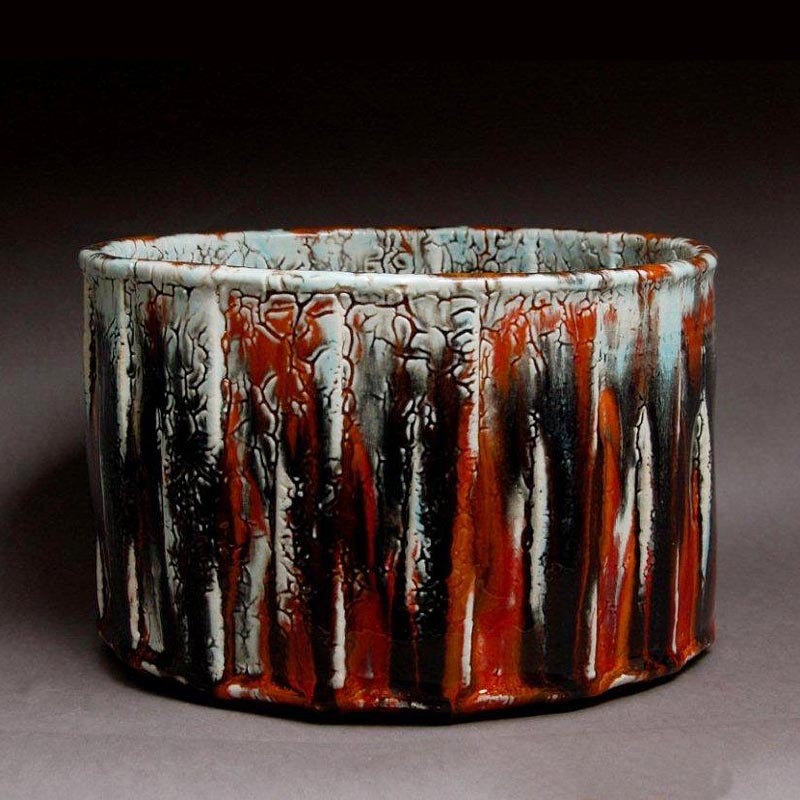 This is pursued through a drive to refine and interpret form and the manipulation of high-fired glazes on the ceramic surface. 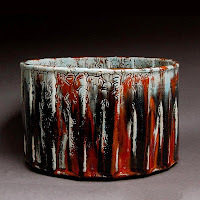 Glaze can offer up a surface rich in visual metaphor and through the layering of glazes I attempt to give greater sense of visual depth and tone. Kirsten Coelho is born in Denmark 1966, but has lived most of her life in Australia. She trained in Adelaide, South Australia before moving to the UK in the early 1990’s where she worked for a number of years in a London Studio. 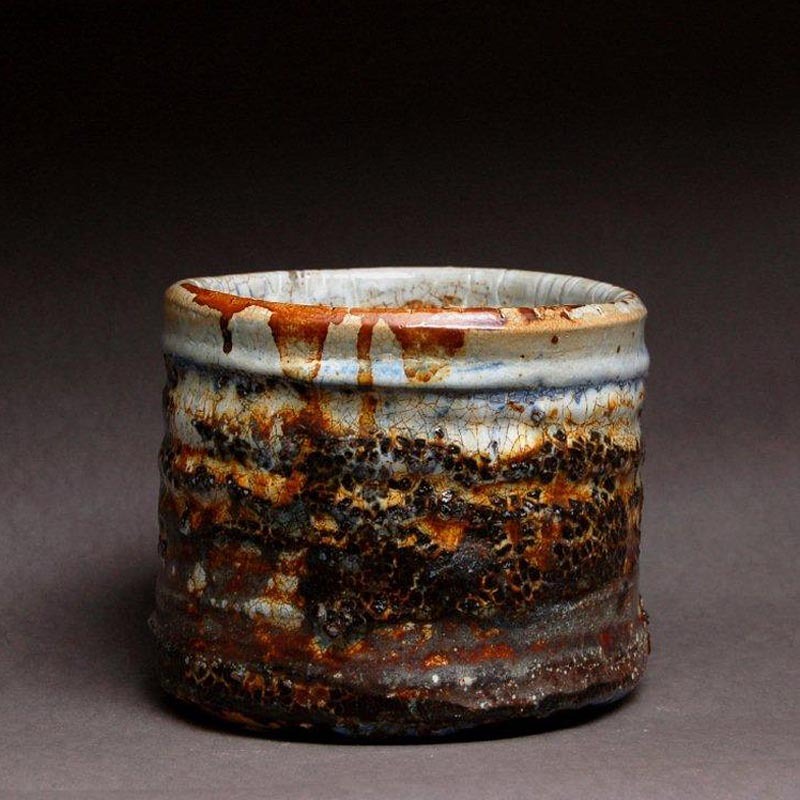 While in London Kirsten’s style developed influenced by the British Studio pottery tradition which has some of its origins in the theories of the potter Bernard Leach. More recently her work has been influenced by nineteenth and early twentieth century enamel wares and the abstracted surface possibilities these objects can possess when they begin to age. 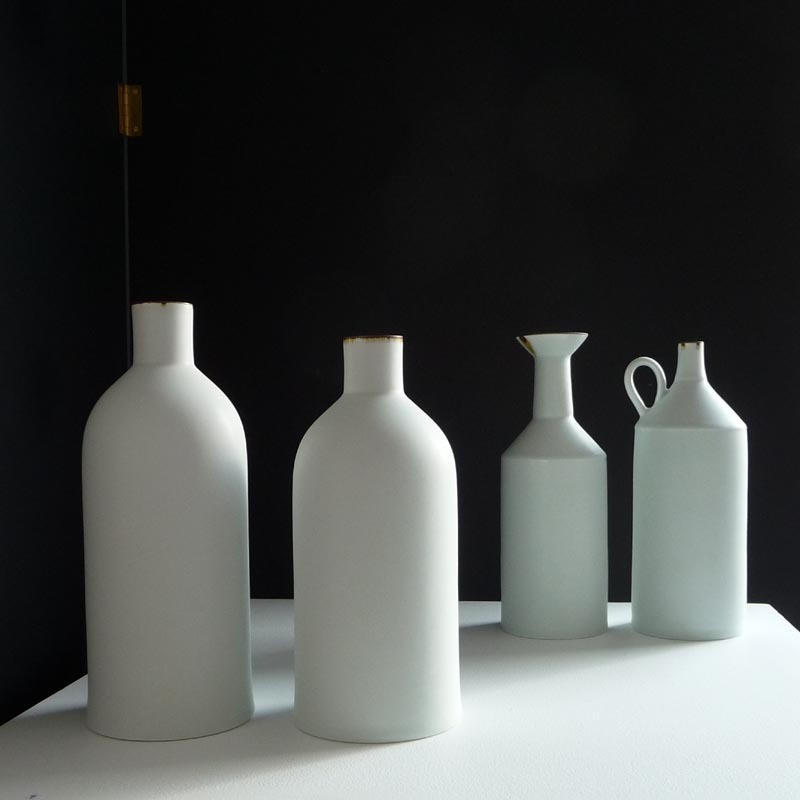 Since returning to Australia in 1998, Kirsten Coelho has been a studio tenant at the JamFactory Centre for Contemporary Craft and Design, completed a Master of Visual Art and currently lectures in Ceramics at the University of South Australia. Coelho now works from a studio at her home in Ethelton, South Australia. Kirsten Coelho graduated from the University of South Australia in 1988 with a Bachelor of Visual Arts (Ceramics) and then continued her studies to complete a Master of Visual Art and Design in 2004. The artist exhibits regularly in Australia. Her works have been selected for exhibitions in the UK through Adrian Sassoon, London. 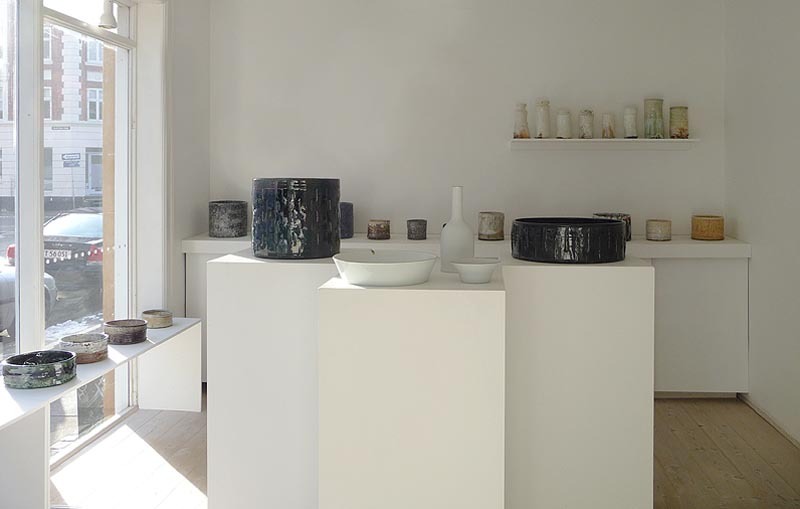 Other group exhibitions include the Victoria and Albert Museum COLLECT and the Scottish Gallery, UK, as well as the Ann Linnemann Studio Gallery, Denmark. In the USA, her work has been shown at Matin Gallery, Los Angeles. In 2011 Coelho, in collaboration Khai Liew and selected Australian artists, exhibited at the London Design Museum, UK. The artist has had recent solo exhibitions at Helen Gory Galerie, Melbourne and BMG Art, Adelaide. State and national galleries in Australia and the Boymans Van Beuningen Stichting Museum, Netherlands hold pieces of her work. 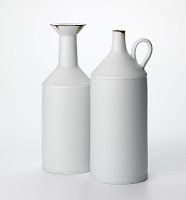 In 2007, Coelho was awarded the Australia Council for the Arts London Studio Residency and is also a recipient of the New Work Development Awards, Australia. Kirsten Coelho is represented by Helen Gory Galerie, Melbourne. Overseas her work is available through Adrian Sassoon in London, Matin Gallery, Los Angeles, USA and the Ann Linnemann studio gallery, Denmark. Kim Holm lives and works in Jutland, Denmark. He exhibits internationally. 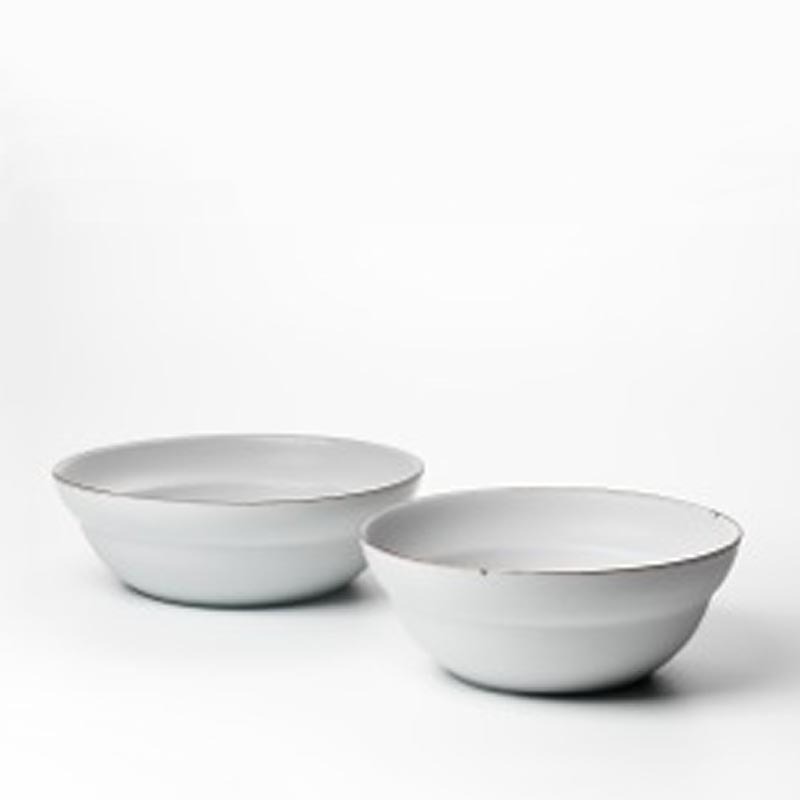 In 2013, Kim Holm will exhibit at the Shiinokigeihinkan gallery A & B, Kanasawa, Japan. Selected Solo exhibitions: Galleri Secher & Scott, Copenhagen 2009, Galleri Jytte Møller DK 2009/06, Museum of International Ceramic Art - Grimmerhus DK 2007, Lasaretsgalleriet Sweden 2006, Galleri Kaolin Stockholm 2005, Galleri Nørby, Copenhagen 2005. Selected exhibitions: Kamakura Old Pottery Museum, Japan - Galleri Omotesando, Japan - Collect, Saatchi Gallery, London - Danmarks Keramikmuseum, Grimmerhus DK - Gudhjem Museum - Design Museum Denmark. Grants and Awards: Ole Haslunds Kunstnerfond, Statens Kunstfond, Kunsthåndværkerprisen Bronze & Silver Award, Århus Artist Stipend, San Cataldo artist-in-residence, C.L. Davids legat, Denmark National Banks Foundation. 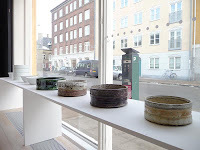 Represented in public collections: Design Museum Denmark, Trapholt Art Museum, Ny Carlsbergfondet, Museum of International Ceramic Art - Grimmerhus DK, Thiemann Sammlung, Hamburg, William Hull Collection USA, - Statens Kunstråd, Rackstad Museet, Värmlands Museum, Engsö Slot Sweden, Koster & Quist collection, Holland.. Thanks to The National Bank Anniversary Foundation and The Danish Crafts Foundation! The gallery celebrates its 5th anniversary with an exhibition to which all past and this year's exhibitors have been invited to show their personal choice of a Masterpiece -miniature. 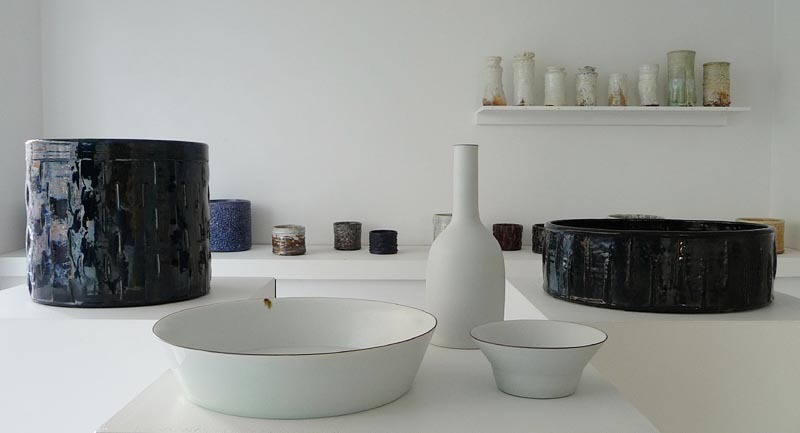 The exhibition shows the wide range of approaches, techniques, themes and artists who are seen in the gallery since its opening in March 2008. Grateful thanks for the 5 active years to thousands of visitors to over 50 different exhibitions and to 75 Danish and International artists ... from new graduates to world renowned artists. This exhibition includes 66 different artist's Masterpieces - miniature. 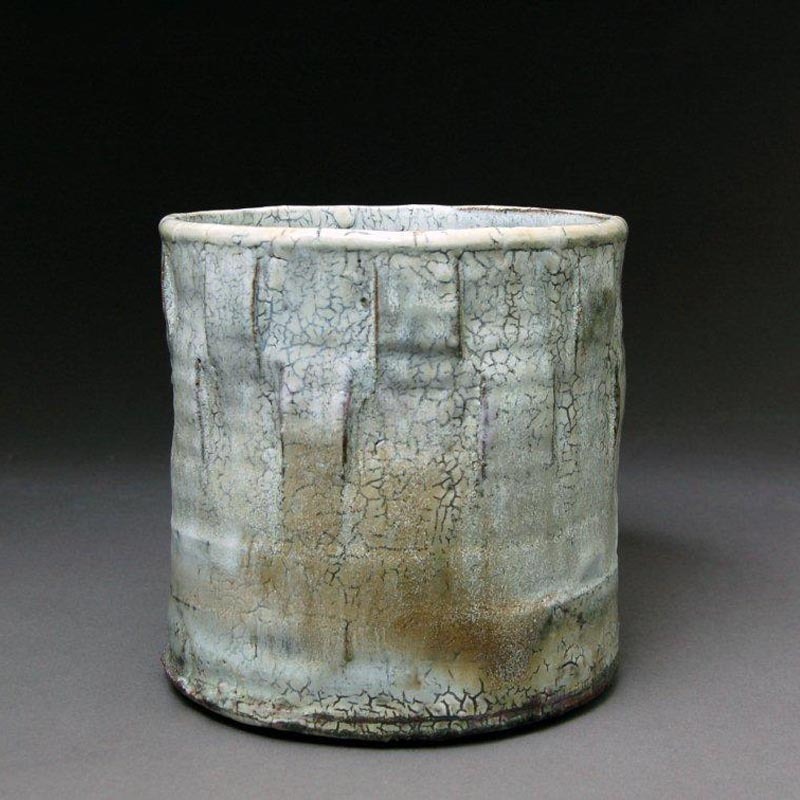 Jonathan Keep experiments with 3-dimensional print in ceramic materials. Idealistic and artistically free, Keep experiments with digital transformations of various codes appearing from sounds and objects of nature. The pieces reference our time of constant digital presence. 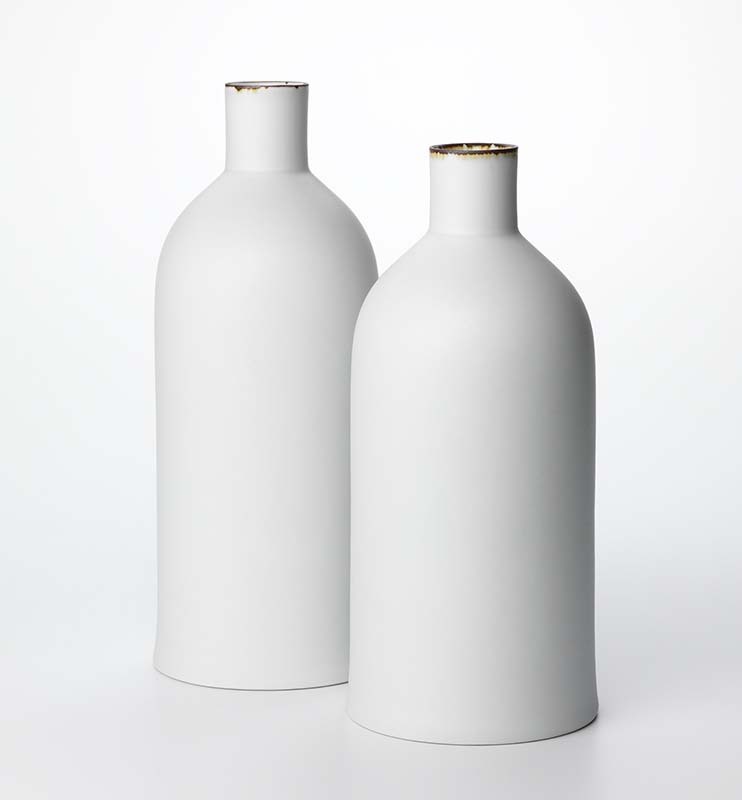 Poetic ceramic objects created by unusual codes of natural phenomena in a sophisticated combination of technological and ceramic knowledge. Søren Thygesen constructs space-specific ceramic pieces that grow as columns, spread in the room, revolve around nature, architecture, sculpture, installation.. 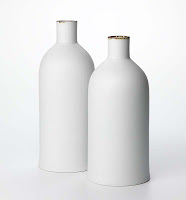 The works appear from the elements of nature, Danish clay and brick tradition. The starting point is an ingenious cutting-machine and the clean cuts that suddenly turn out to enable the making of centimetre-thin leaves that seem heavier than their high upwardly rising sister-columns. Gunhild Aaberg is fascinated by the sea and the harbour as a recurring theme in her raw, powerful and often large sculptural forms that carry memories of ships, architecture and the vessel. 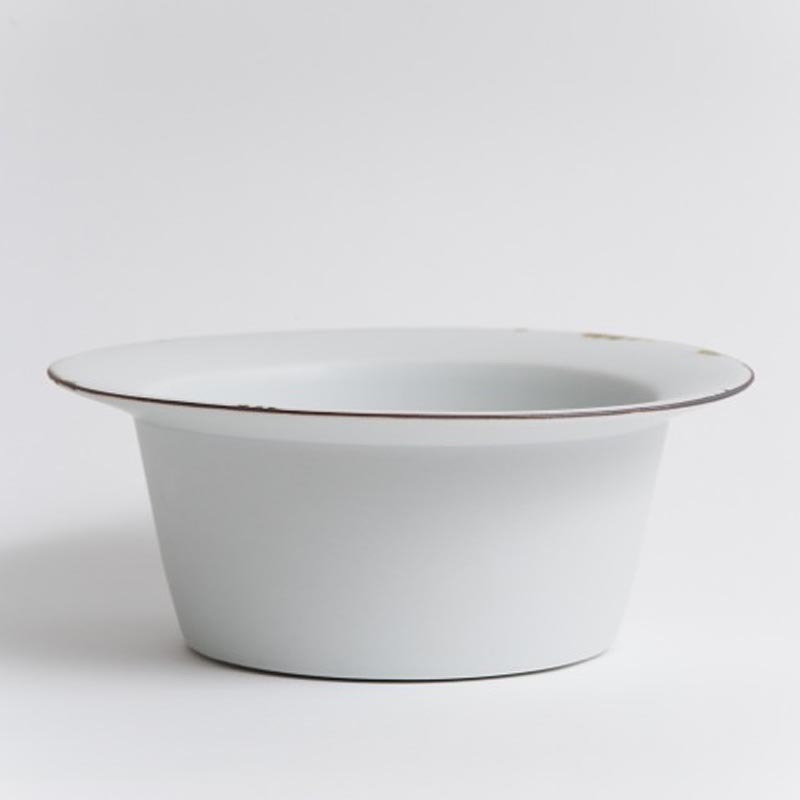 The piece's origin, the container and vessel volume with echoes of shoulder and torso, reminisces in her new work rather towards spherical carriers of relics.. - Or do they hold the secrets of the future? From the Gaolin mountain via the silk route to Europe and back to the East.. Architectural abstraction - illusions in a hard immobile material..
Mikael Jackson's work is the result of an abstract study of dynamics within a controlled form. 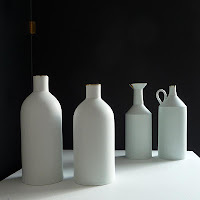 The ceramic objects are formal explorations. Through interaction and mutual influences, he explores the order and construction of the structures and the importance of geometric elements as detached and supporting forms. 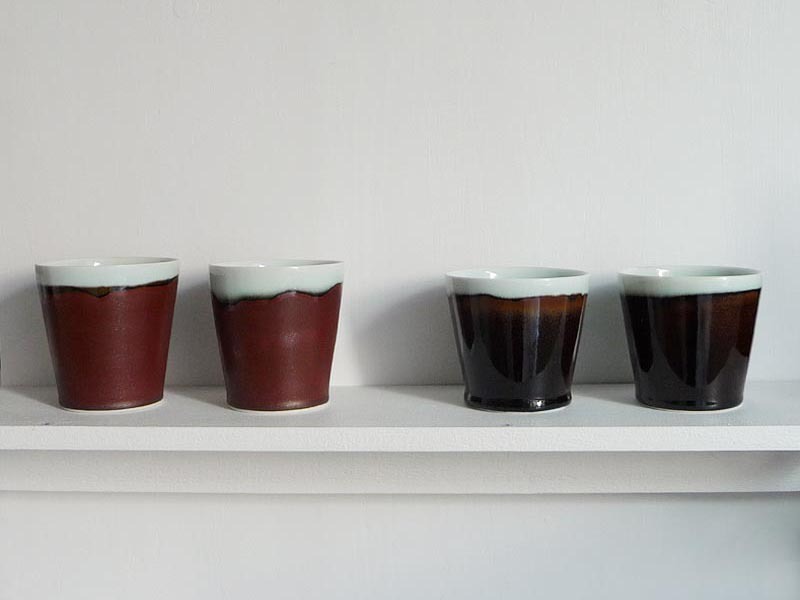 The renowned ceramic artist Hans Munck Andersen exhibits together with the young talented Lea Mi Engholm. Together, they show an exhibition of pieces that contains both intensity, extremes in material and expression, but also concludes their similarities in the sensuous detailing. Mette-Marie Ørsted work with geometry, card houses, cultural cities in her 'Ceramic Concretions', which are like cut with a pair of scissors - cut and assembled, clearly outgrown from 2D plane to spacious 3D forms. 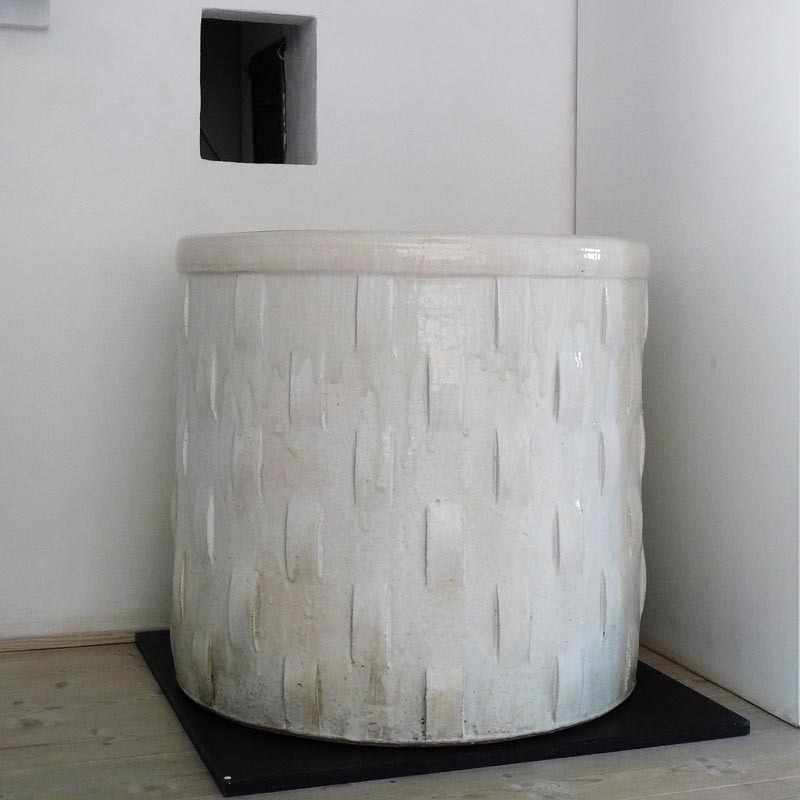 She explores the architectural space in interaction with the ceramic spacious, the raw clay versus the glazed surface, the poetic narrative towards pure geometric form. She refers to cultures, urban communities and lifestyles, abstracts visualized in a concrete material. 1 – 23 DECEMBER A COLLECTOR FOR DINNER - Sten Lykke Madsen, Ann Linnemann, Kirsten Høholt..
A unique table will be set for dinner, sushi, coffee/tea - in play with untraditional objects by all the gallery artists..